All gifts are wrapped carefully and delivered with a note. Contact us for creating a custom gift basket. Each wine gift basket contains bottle of wine, cheeses, crackers and nuts. Contact us at support@orderultra.com to build gift basket with items of your choice. Veuve Clicquot is one of the most recognizable champagne brands in the world. The Yellow Label is a perfect and reliable gift for almost all people for any occasion. This is a delicious champagne with hints of apples, blackberry, white cherry, lemon zest. Dom Perignon is produced by France's largest Champagne house, Moët et Chandon. Produced in only the years of outstanding vintage of grapes, this is a special champagnes that is recognized as symobol of pedigree & prestige. Napa Valley is renowned for producing world class wines and Cabernet Sauvignon is the most celebrated wine from the region. Joseph Phelps is a highly respected wine producer from Napa, Insignia is his signature red blend known for deep, complex, balanced taste. A balanced, complex, delicious wine from prime Napa Valley wine estates. A smart & understated gift. A standard bearer single malt scotch. Aged 12 years in sherry oak barrels, this whisky has a rich golden color with aromas of vanilla, ginger, almonds. Clase Azul is an ultra premium, 100% Weber Blue Agave, Reposado Tequila, packaged in a beautiful handcrafted, hand-painted Talavera carafe. 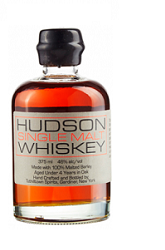 Hudson Single Malt is created with malted barley and aged in new American Oak barrels for full flavored American whiskey. Distilled and produced in upstate New York, this is a perfect whiskey for sipping or a perfect Manhattan. Blended with some of Scotland's rarest whiskies, this is an extraordinary whisky that makes an extraordinary gift.